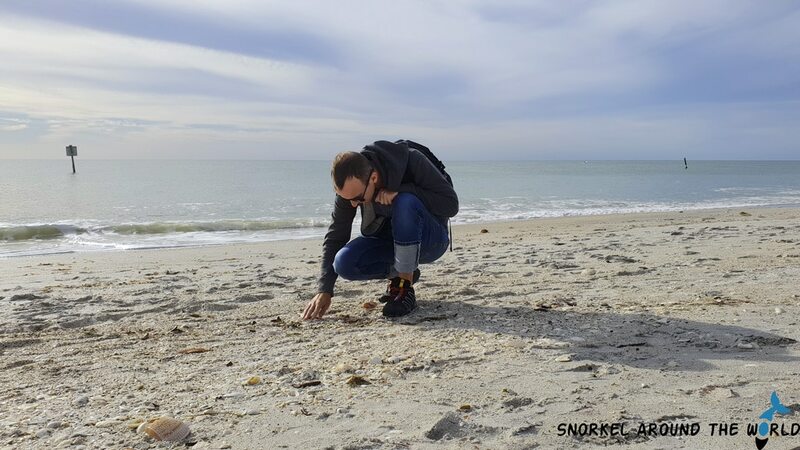 Home » Blog » Finding shark teeth in Florida – Where and how? It is not just a myth that you can find real shark teeth in Florida! Whether you are a collector or just an enthusiastic seeker, hunting for fossils is a great experience and can be a fun family adventure! 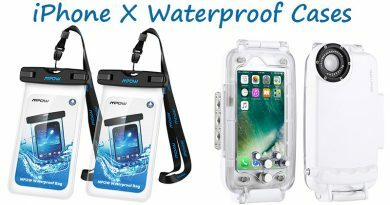 Learn where and how to do it! 1 What beaches have shark teeth in Florida? 2 How to find shark teeth on the beach? 2.2 Where can you find Megalodon teeth? 3 How many teeth shark have? 4 Are shark teeth white or black? What beaches have shark teeth in Florida? 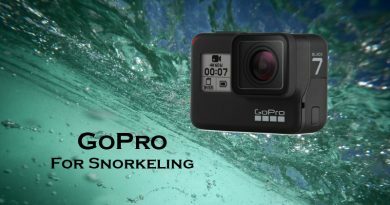 With rich marine life and vibrant coral reefs, Florida snorkeling beaches offer top conditions year round for water activities, but thanks to the geological characteristics, you don’t even need to get into the water to find some interesting treasures like a shark tooth! Most parts of Florida were covered by water when the sea level was higher and large populations of sharks lived throughout the coast. Sharks are constantly losing teeth that settle into the sea bottom and fossilize in the sedimentary layers. When the climate changed and the sea level fell, these layers exposed and Florida -as it looks like today- was born. 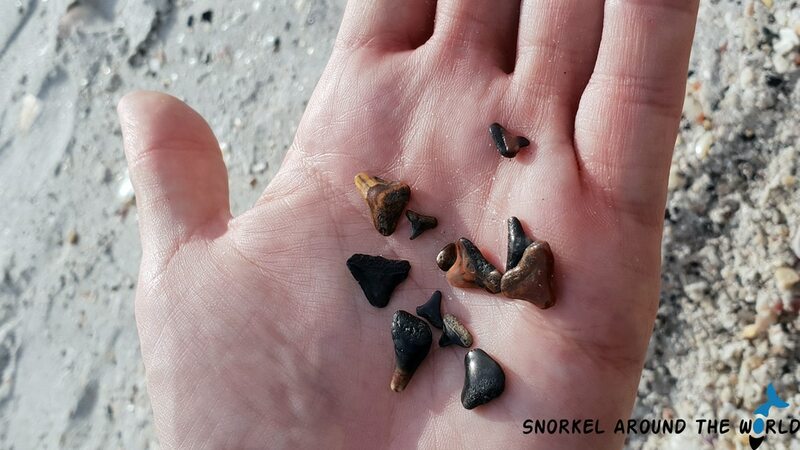 Therefore it is possible to find shark teeth in Florida at almost all beaches but there are some places where there are plenty of them! 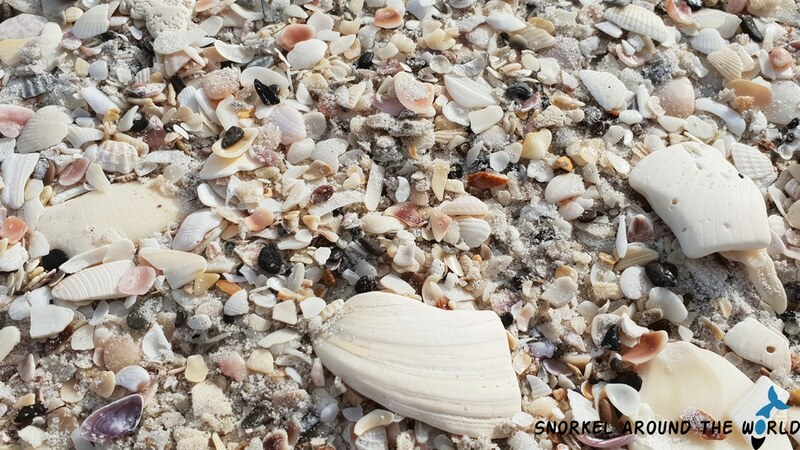 The most popular spots are the Gulf Beaches in Venice that is often called the “Shark Tooth Capital of the World”. 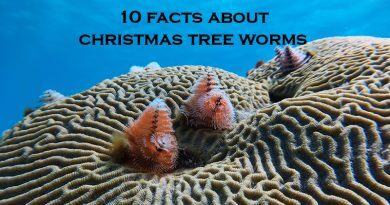 Moreover, they are abundant in the Palm Beach area in southeast Florida, as well as at Jacksonville beaches because a major migration route of sharks can be found just offshore. How to find shark teeth on the beach? Big and rare fossils usually found while diving, but the easiest way is just simple look for shark teeth while walking on the beach! Head out one of the above mentioned beaches and let the fun start! 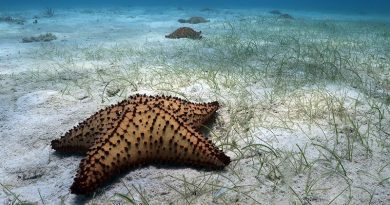 Walk around the waterline and search them in the “ocean debris” among shells and sea weed. Look for shiny, brownish-blackish pieces that are triangle-shaped, but some are long like a big needle! 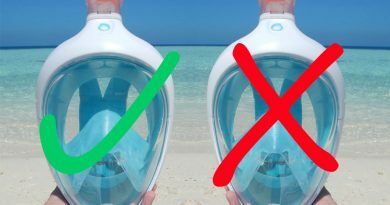 To make the hunting more effective, take a sifter to sift through the sand! Some people say the best is to go at low tide when the water is calmer. Others find more shark teeth when the tide is coming in and pulls away the sand from the waterline. Since the waves drive the fossils from deeper waters towards the shallow coastal areas, there are more teeth on the beach after a stormy period! The majority of shark teeth in Florida are from Lemon Shark, Bull shark, Tiger shark, Sand Tiger shark, Hammerhead shark or White shark and have a size of 0.5-2 inch (1.3-5 cm). If you find shark tooth that is bigger than 4 inch, it is most probably a Megalodon tooth! Where can you find Megalodon teeth? The 60 feet (18 meters) long Megalodon shark is an extinct species that had the biggest teeth of the size of 4-7 inch (10-18 cm)! The most Megalodon teeth findings are reported around Manasota Key and usually happen while diving near the coast, but nothing is impossible in nature and lucky ones find them while walking on the beach too especially after bigger storms! However it is a rare treasure, but easy to identify from the size and thin black line that runs between the blade and the root. Tip: interesting fact is that many other fossils can be found in Florida coastal waters like manatee rib sections and whale jaw bones! How many teeth shark have? Sharks can have 30.000-50.000 teeth over their life, 50-300 in different development stages at one time. The teeth are constantly growing in multiple rows and replacing each other. Unlike humans, shark species have weak teeth without roots therefore they fall out easily. When feeding on a tasty meal, sharks can lose tens of teeth but the new ones move forward in a few days, couple of weeks. The power of their bite comes from the extremely strong jaws not from the teeth. The sharp teeth are made to tear the prey into pieces, but since they fall out easily, they also help the shark to let the prey go quickly if needed to avoid injuries in case of an unsuccessful attack. Are shark teeth white or black? 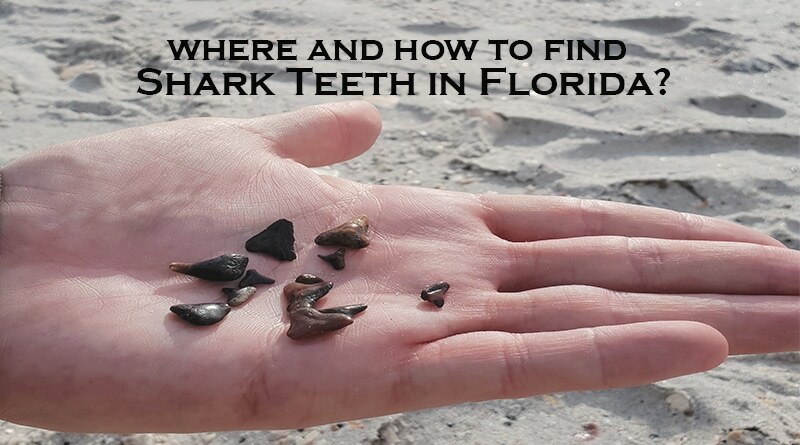 You might think that you will find razor sharp, shiny white shark teeth in Florida beaches but actually what you find is a fossil that is brownish or black. The fossilized shark teeth in Florida are usually 10.000 years old but some got into the sedimentary layers million years ago! 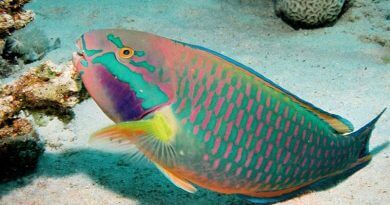 The color of the teeth varies on the era when it settled into the sea bed and identifies the age of it. But why are shark teeth black? When the shark loses the white tooth, it sinks into the sea bed and gets buried into the sediment. The tooth absorbs the minerals from the sedimentary layer. These minerals slowly replace the dentin and turns the tooth into a fossil. The color of the fossil depends on what type of minerals the sedimentary layer contained. Venice Beach shark teeth are black because of the phosphate in the sediment. One can find reddish fossils around New Jersey which comes from the iron oxide. White or light yellowish shark teeth are newer ones that have not yet been exposed to minerals.